Now that we slowly walked into 2018 I wanted to share my 10 ultimate beauty favorite from 2017! I tried a lot of different products and some of them surprised me in a positive way and other in a negative one. 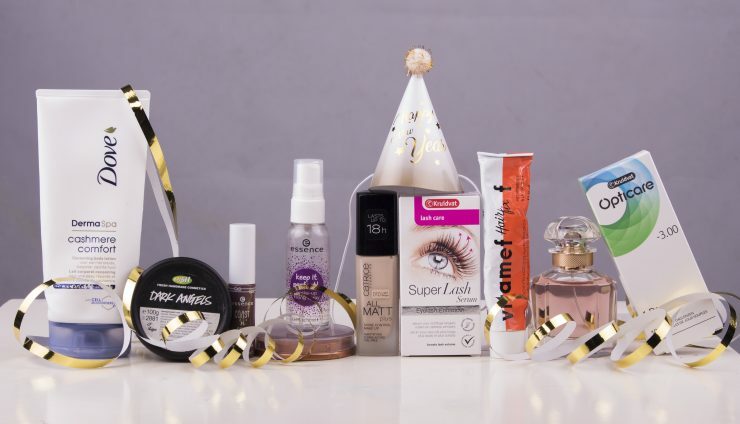 But I can share with much proud my 10 best beauty products from last year! With these favorites you will see some weird but also budget proof products. Oops… I used this bronzer from rimmel so often that you can see that pan and that the packing is wiped out. But it’s just a fantastic bronzer! It stays on his place that whole day and it also looks very natural! The smell, the structure, how this body lotion works… everything is just perfect! Or better was because on the last day of 2017 this body lotion was completely empty… I use it that much but it was such a good body lotion! It made my skin so soft and dove is also budget proof! Win-win situation! When I started with make-up this was the first foundation I ever used! I was such a fan from it till it wasn’t any longer for sale… So I tried out a lot of foundation. But after a few years I saw that this foundation was back! Yaaay! I directly bought a few of these because better safe that sorry 😉 for me is this really the best foundation ever! It is the perfect color and it stays on his place the whole day! This one is a stayer for ever! Contact lenses is something difficult and also personally. Previously I bought my lenses by de optician. I tried them all…the cheaper month lenses, the one in between, the expensive ones and the special water ones. But I never found good ones. I also tried a lot of different lenses cleaners but nothing worked. So during a special action I thought lets try the kruidvat lenses. And these are just fantastic! I tried the day lenses. But now I’m going to buy the month ones. I’m so happy that I finally found good lenses and the price is also fine! I can’t live without this face cleanser. A review is coming online very soon because this black cleanser is just to good! It really helped my skin to look better again! This eyelash serum is just the best! My eyelashes never looked so beautiful and full before! I will do an update article with pictures how my eyelashes looks now. Because the result is even better now! To be honest I thought that I didn’t need a makeup fixing spray. But because I wanted to wear much glitter on my face with tomorrowland I bought this fixing spray that the glitters would stay on there place the whole day/night. And till my big surprise is this budget proof spray so good! My makeup stays on his place the whole day without that the spray feels sticky. This where my ultimate beauty favorite from 2017! And if you also wanna see and article with my fashion/lifestyle favorite? Then I will take care of that! 😉 Hopefully you also discovered such an amazing products in 2017! Ik ben vooral benieuwd geworden naar de essence lipstick en naar het wimperserum! Dat wimperserum is gewoon echt geweldig! Ik ben super benieuwd naar dat wimper serum. Ik heb al zin om het ook te proberen. Moet je zeker en vast doe want het maakt je wimpers inderdaad langer en voller! Want mij betreft is het echt een top serum! Het super lash serum ligt hier al een paar maanden in de kast..Tijd om het eindelijk eens te gaan gebruiken!